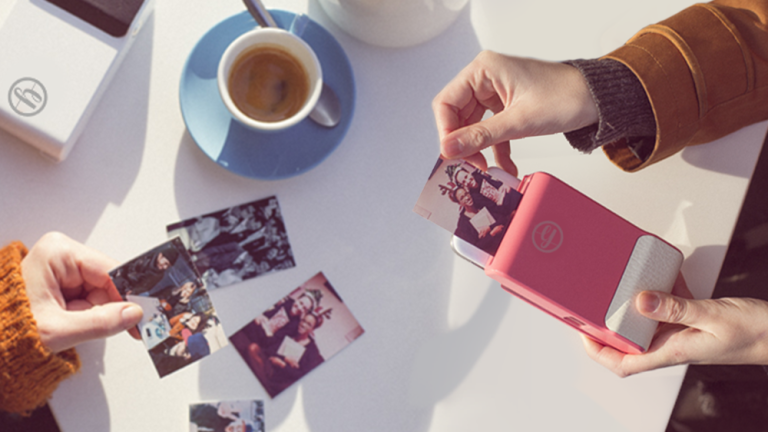 Whoever said print was dead along with Polaroid obviously hadn’t tried the Prynt. This is a smartphone case that doubles as a zinc printer meaning you can print physical photos right from your phone. Prynt is £140 plus £20 for a pack of paper refills and can be bought now. This is the world's first shop that you walk into, pick up what you want and just leave. Yes, you can do that in other shops, but in this one you won’t get arrested. Amazon Go is the first physical shop from the retail giant that will use smart tech to make tills and queues and thing of the past. You scan into the shop using your phone, grab what you want and it’ll auto detect and give you a bill on your app as you leave. Simple. Beats by Dre and Alexander Wang have had a baby and it looks a lot like a pair of headphones. That because it is, Studio Wireless Headphones to be exact. Wang takes care of the style while Dre deals with the sound. The result is good looking cans with 12-hours of wire free listening. The price? £550, of course. The BBC this week released its first ever 4K UHD footage in Hybrid Log-Gamma, its version of UHD. The result is colours being transmitted over iPlayer that have never been seen there before. If you have a 4K TV with HDR you’ll be able to watch a clip of Planet Earth II that has been rendered in HGL format. Your TV won’t be able to fully render HGL but it’ll downscale so your TV can handle it in full HDR - still impressive then. It’s free and pretty stunning so go check it out now as it’s just a test and it’ll be gone by the end of the year.